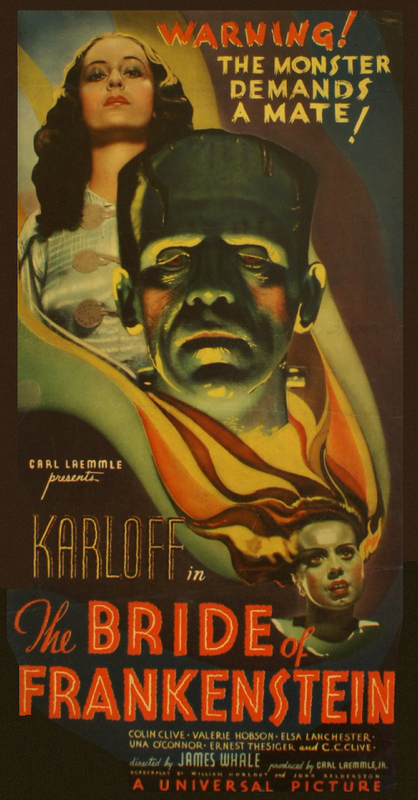 Here’s my latest IN THE SPOOKLIGHT column, on the Boris Karloff classic THE BRIDE OF FRANKENSTEIN (1935), published this month in the September 2015 HWA NEWSLETTER. Time to put the frivolous films of summer aside in favor of the horror movie heavyweights, time for one of the most critically acclaimed horror movies of all time, THE BRIDE OF FRANKENSTEIN (1935). In the annals of mainstream cinema, there are very few horror movies which earn a four star rating. THE BRIDE OF FRANKENSTEIN is one of them. Not only is it considered a better movie than its predecessor, FRANKENSTEIN (1931) but it’s widely viewed as the best FRANKENSTEIN movie ever filmed. While it’s hard to argue against this assertion, I actually prefer FRANKENSTEIN over BRIDE since it’s a scarier film, but that doesn’t take away my appreciation for BRIDE. THE BRIDE OF FRANKENSTEIN opens with a prologue in which Mary Shelley (Elsa Lanchester, who also plays the titled Bride of Frankenstein later in the movie) tells her husband Percy Shelley and fellow Romantic poet Lord Byron that her story did not end with the Monster perishing inside the burning windmill. There’s more to the tale, she says. The action then segues to just after the conclusion of FRANKENSTEIN, with the villagers watching the windmill burn to the ground, and we quickly see that the Monster (Boris Karloff) has survived the fire and escapes. Henry Frankenstein (Colin Clive) survives as well, and he resumes his plans to marry Elizabeth (Valerie Hobson), but these plans are interrupted when he’s visited by his old professor, Dr. Pretorious (Ernest Thesiger) who tries to convince Henry to continue his experiments, but Henry is not interested. Meanwhile, the Monster is loose in the countryside, inadvertently terrifying everyone he comes in contact with. He’s hunted down and briefly chained in a prison before he escapes. In the film’s most touching scene, he befriends a blind hermit (O.P. Heggie) who teaches the Monster how to speak and shows him considerable compassion, even prompting the Monster to shed a tear at one point. But even this ends badly when two hunters happen upon the hermit’s cabin and “rescue” him from the Monster. 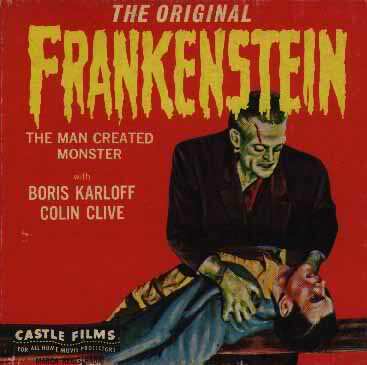 Eventually, the Monster crosses paths with Dr. Pretorious, who tells the Monster he wants to create a mate for him, but that he needs Henry Frankenstein’s help for the experiment to succeed. The Monster agrees to work with Pretorious to compel Henry Frankenstein to make him a mate. And of course the Monster learns how to talk in this movie, which is a huge development in the story and makes the Monster an entirely deeper character than he was in the first film. Sure, it takes away some of his frightening brutality, but it also makes him much more interesting. The look of the Monster is also unique in BRIDE, as make-up artist Jack Pierce singed the Monster’s hair and face to show that he had been burned in the windmill. Colin Clive returns as Henry Frankenstein, and once again, he’s excellent in the role. Clive broke his leg shortly before filming, which is why in the majority of his scenes in THE BRIDE OF FRANKENSTEIN he’s sitting down. Sadly, Clive died two years later in 1937 from pneumonia as a result of his alcoholism, and he never lived long enough to see or take advantage of his increasing fame through the decades as the iconic Henry Frankenstein in these two classic Frankenstein movies. 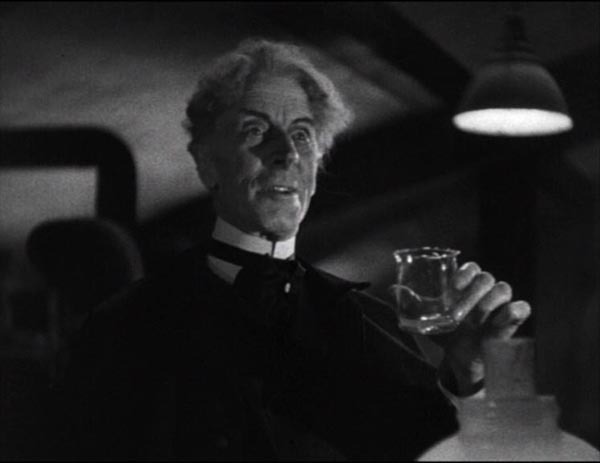 Stealing the show, however, is Ernest Thesiger as the evil Dr. Pretorious, in a role originally offered to Claude Rains. Thesiger is a delight to watch, as he instigates Henry Frankenstein throughout, eventually teaming up with the Monster in order to force Henry to create the Monster’s mate. Thesiger’s Pretorious is a nice precursor to Peter Cushing’s interpretation of Baron Frankenstein in the Hammer Films, although Cushing would take things a step further and make his Baron an even darker character. It’s a shame Thesiger’s Dr. Pretorious only appeared in this one Frankenstein movie. Ernest Thesiger steals the show as the conniving Dr. Pretorious in THE BRIDE OF FRANKENSTEIN. Dwight Frye, who famously played the hunchback assistant Fritz in FRANKENSTEIN after his even more famous role as Renfield in DRACULA (1931) appears in BRIDE as the grave robber/murderer Karl who assists Pretorious and once again has the distinction of being murdered by the Monster. The original role of Karl was much bigger and included a scene where Karl murders his aunt and uncle and then blames the Monster for the crime, which is why at the end of the movie the Monster goes out of his way to kill Karl. These scenes were cut prior to the film’s release. The iconic Bride with the lightning-strike hair was played by Elsa Lanchester, who made such an impression with this role it’s easy to forget that she’s only in the movie for about five minutes, and that’s it! Yet she hisses her way to infamy, prompting the Monster to complain, “She hate me! Like others!” Ah, the pains of dating! The Monster (Boris Karloff) is bound by the angry mob. Director James Whale, who directed FRANKENSTEIN, is at the helm once again for THE BRIDE OF FRANKENSTEIN and he does another masterful job. He sets up several memorable scenes in this one, even making the Monster a Christ figure. When the mob binds the Monster and hoists him up on a huge pole where he hangs for several moments as they throw sticks and stones at him, the scene definitely brings to mind a crucifixion. And in the sequence with the blind hermit, as the Monster sheds a tear, just before the camera fades to black, it focuses on a crucifix which illuminates and remains the sole image after the fade. The scene where the villagers pursue the monster is shot with a moving camera, and it’s every bit as impressive as the chase scene at the conclusion of FRANKENSTEIN. Henry Frankenstein’s lab is bigger in this sequel, and the bride creation sequence is more elaborate than the creation scene in the original, as this one includes flying kites high above the roof of the laboratory. The one thing lacking in THE BRIDE OF FRANKENSTEIN that FRANKENSTEIN did better is scares. The Monster in FRANKENSTEIN as played by Boris Karloff was a brutal unstoppable force that was frightening every time he was on screen, not because he was evil, but because he was tremendously strong and unpredictable, possessing raw incredible strength unchecked by learning or experience. In FRANKENSTEIN, the Monster had no knowledge of life and death, right and wrong. But in THE BRIDE OF FRANKENSTEIN the Monster does know, which makes him a much more fascinating character, and since he develops a conscience rather than become evil, he’s much less frightening. The screenplay by William Hurlbut and a host of uncredited writers is thought-provoking throughout. THE BRIDE OF FRANKENSTEIN is critically acclaimed because it takes the infamous murderous Monster from FRANKENSTEIN and humanizes him, enabling him to reflect upon his existence, which ultimately causes him even more tragedy and pain. THE BRIDE OF FRANKENSTEIN also contains a phenomenal music score by Franz Waxman. Without doubt, THE BRIDE OF FRANKENSTEIN is one of the best horror movies ever made. It was a hit and a critical success upon its initial release in 1935, and today, 80 years later, its reputation is even stronger. Looking for first-rate horror movie fare this September? Look no further than Boris Karloff and Elsa Lanchester in THE BRIDE OF FRANKENSTEIN. It’s one wedding you don’t want to miss! Welcome to the latest edition of MEMORABLE MOVIE QUOTES, the column where we look at great quotes from even greater horror movies. Today we look at quotes from one of the greatest horror movies of all time, THE BRIDE OF FRANKENSTEIN (1935), James Whale’s sequel to his iconic original, FRANKENSTEIN (1931). THE BRIDE OF FRANKENSTEIN is largely considered by critics to be even better than FRANKENSTEIN. I’ve always preferred FRANKENSTEIN, mostly because it’s scarier and more of a horror movie, but this doesn’t take away my enjoyment and recognition that BRIDE is one heck of a movie. While Boris Karloff returns as the Monster, and Colin Clive returns as Henry Frankenstein, a new character who largely steals the show in this sequel is the nefarious Dr. Pretorious, played by Ernest Thesiger, who does a tremendous job in a role that was originally offered to Claude Rains. Some of the most memorable quotes in THE BRIDE OF FRANKENSTEIN are from scenes involving Dr. Pretorious. Let’s look now at some memorable quotes from THE BRIDE OF FRANKENSTEIN, screenplay by William Hurlbut. HENRY FRANKENSTEIN: What do you want? PRETORIOUS: We must work together. HENRY FRANKENSTEIN: Never. This is outrageous. I’m through with it. I’ll have no more of this hell spawn. As soon as I’m well, I’m to be married. Right away. PRETORIOUS: I must beg you to reconsider. You know, do you not, that it is you who are responsible for all those murders. There are penalties to pay for murder. With your creature still at large in the countryside—. HENRY FRANKENSTEIN: Are you threatening me? PRETORIOUS: Don’t put it so crudely. I have ventured to hope that you and I together, no longer as master and pupil, but as fellow scientists might probe the mysteries of life and death. HENRY FRANKENSTEIN: Never, no further. PRETORIOUS: To reach a goal, undreamed of by science. HENRY FRANKENSTEIN: I can’t make any further experiments. I’ve had a terrible lesson. PRETORIOUS: That’s sad, very sad. But you and I have gone too far to stop, nor can it be stopped so easily. I also have continued with my experiments. That is why I am here tonight. You must see my creation. PRETORIOIUS: Our mad dream is only half realized. Alone, you have created a man. Now, together, we will create his mate. PRETORIOUS: Yes, a woman. That should be really interesting. THE MONSTER: You make man, like me? PRETORIOUS: No. Woman. Friend, for you. THE MONSTER: Woman— friend, yes,— I want friend like me! PRETORIOUS: I think you will be very useful, and you will add a little force to the argument, if necessary. 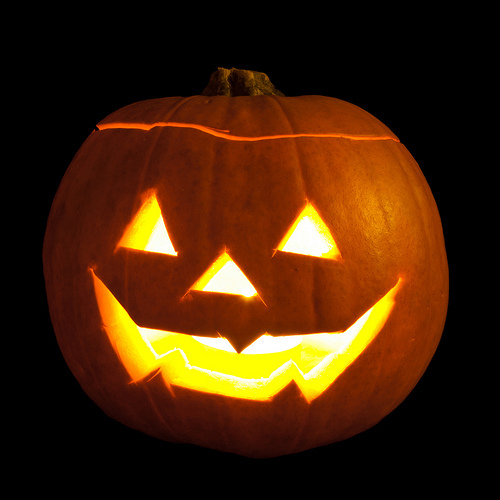 Do you know who Henry Frankenstein is, and who you are? THE MONSTER: Yes, I know. Made me from dead. I love dead. Hate living. Dr. Pretorious (Ernest Thesiger) schemes with the Monster (Boris Karloff) in THE BRIDE OF FRANKENSTEIN (1935). PRETORIOUS: You’re wise in your generation. We must have a long talk. Then I have an important call to make. THE MONSTER: Woman— friend— wife. BLIND MAN: And now, for our lesson. Remember, this is bread. BLIND MAN: And this is wine. (Pours wine into mug). To drink. THE MONSTER: Drink. (Drinks wine) (Smiles) Good! Good. BLIND MAN: We are friends, you and I. Friends. BLIND MAN: Before you came, I was all alone. It is bad to be alone. BLIND MAN: Now, come here. (They rise from the table and walk across cabin. Blind man lifts a piece of wood.) And what is this? (The Monster growls and shakes his head.) This is wood, for the fire. BLIND MAN: And this is fire. BLIND MAN: No, no. Fire is good! THE MONSTER: Fire— no good! BLIND MAN: There is good, and there is bad. Sadly, this scene ends badly when two men— one of them played by a very young John Carradine— happen upon the cabin in the woods, and seeing the Monster try to kill him. In one of the cruelest lines in the film, one of the men tells the Blind Man who the Monster is, and he says this in front of the Monster. MAN: He isn’t human! Frankenstein made him out of dead bodies! The following sequence is one of my favorite scenes in the entire film. Pretorious tries once again to convince Henry Frankenstein to work with him to create a woman, and when Henry again refuses, Pretorious brings in the Monster. It’s the first time Henry has seen the Monster since the two fought in the fiery windmill in the conclusion of FRANKENSTEIN, and the first time Henry hears his creation speak. PRETORIOUS (to Henry Frankenstein): Everything is ready for you and me to begin our supreme collaboration. HENRY FRANKENSTEIN: No, no. Don’t tell me of them. I don’t want to hear. I’ve changed my mind. I won’t do it! PRETORIOUS: I expected this. I thought we might need another assistant. (Approaches door.) Perhaps he can persuade you. HENRY FRANKENSTEIN: Nothing can persuade me! HENRY FRANKENSTEIN: No! Not that! PRETORIOUS: Oh, he’s quite harmless, except when crossed. PRETORIOUS: Yes, there have been developments since he came to me. HENRY FRANKESNTEIN: What do you want? HENRY FRANKENSTEIN (To Pretorious): This is your work! 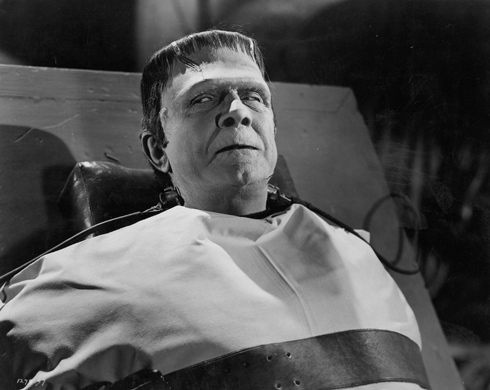 HENRY FRANKENSTEIN: I’ll have no hand in such a monstrous thing. HENRY FRANKENSTEIN: Get him out! I won’t even discuss it until he’s gone. HENRY FRANKENSTEIN: Never! Nothing can make me go on with it. PRETORIOUS (to Monster as he closes door as Monster leaves): Now. Which of course is the green light by Pretorious for the Monster to abduct Elizabeth in order to force Henry to conduct the experiment. The Monster himself has some of the most memorable lines in the movie, like this one when the newly created Bride (Elsa Lanchester) hisses at him and makes her disdain for him clear. THE MONSTER: She hate me, like others. Welcome to the world of dating, Frankie! THE MONSTER: We belong dead. 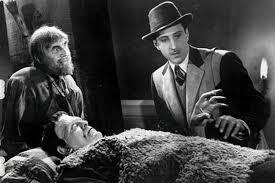 Unfortunately for the Monster, he cannot die and four years later would be resurrected for the third film in the series, SON OF FRANKENSTEIN (1939). But that’s a tale for another column. I hope you enjoyed today’s Memorable Movie Quotes column on THE BRIDE OF FRANKENSTEIN. Join me again next time for another look at memorable quotes from another great movie. 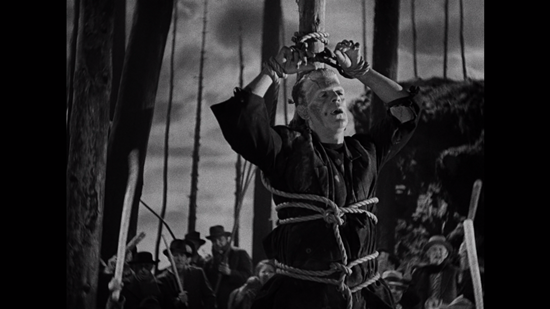 The Monster doesn’t say a word in FRANKENSTEIN (1931), but Karloff’s performance still speaks volumes. Welcome to another edition of MEMORABLE MOVIE QUOTES, that column where we look at memorable quotes from the movies, especially horror movies. Today we look at the ultimate monster movie, the original FRANKENSTEIN (1931) starring Boris Karloff as the Monster and Colin Clive as Doctor Henry Frankenstein. 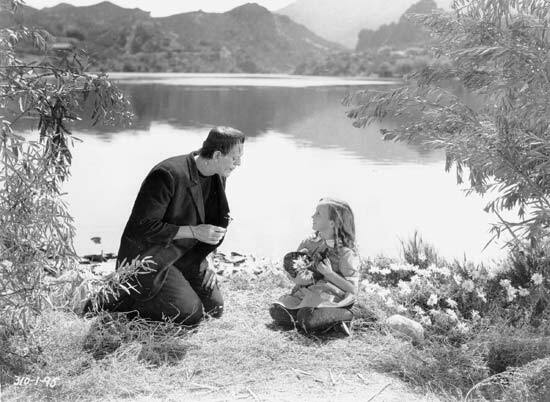 While the screenplay by Garrett Fort and Francis Edward Faragoh includes lots of memorable lines, none of them are spoken by the most famous character from the movie, the Frankenstein Monster, since the creature was mute in this film. Speaking of the screenplay, FRANKENSTEIN had quite the cast of writers involved in the writing of its script. Ready? While Fort and Faragoh were credited for writing the screenplay, it was based upon the “composition” by John L. Balderston, which was adapted from the play by Peggy Webling, and included uncredited contributions from Robert Florey and John Russell, as well as work from scenario editor Richard Schayer. And of course, all of it was based on the novel by Mary Shelley. Okay, let’s move on to the quotes. 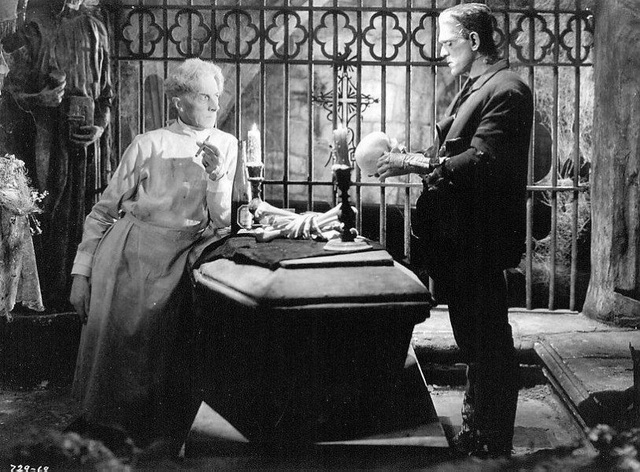 The most famous line from the movie comes from Henry Frankenstein in the creation scene. It’s one of the most recognizable scenes in horror film history. With the monster’s hand slowly rising from the lab table, exhibiting its first signs of life, Henry Frankenstein goes ballistic. Before the movie starts, actor Edward Van Sloan who plays Dr. Waldman in FRANKENSTEIN, comes out from behind a stage curtain and gives a word of warning to the audience. Supposedly, this pre-credit sequence was supposed to match a similar scene from the end of DRACULA (1931) with Bela Lugosi. At the end of DRACULA, there was a clip of Edward Van Sloan, who played Dr. Van Helsing in DRACULA, coming out from behind a curtain to argue the existence of vampires. Since FRANKENSTEIN was to be playing as a second feature following DRACULA, the two Edward Van Sloan sequences were supposed to link the two films together. As far as I know, the Van Sloan sequence from the end of DRACULA no longer exists. I’ve never seen it, nor have I seen a still from it. HENRY FRANKENSTEIN: The brain you stole, Fritz. Think of it. The brain of a dead man waiting to live again in a body I made with my own hands! With my own hands. VICTOR MORITZ: Henry, in the name of God! 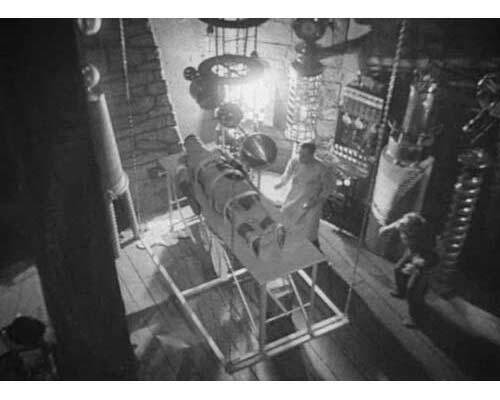 Colin Clive’s best scene comes shortly after he has created the Monster, in a scene of dialogue between Clive’s Henry Frankenstein and Dr. Waldman. As they converse in the lab, Waldman tries to warn his former student about the dangers posed by the Monster. HENRY: Oh, come and sit down, doctor. You must be patient. Do you expect perfection at once? DR. WALDMAN: This creature of yours should be kept under guard! Mark my words: he will prove dangerous. HENRY: Dangerous? Poor old Waldman. Have you never wanted to do anything that was dangerous? Where should we be if nobody tried to find out what lies beyond? Have you never wanted to look beyond the clouds and the stars, or to know what causes the trees to bud? And what changes the darkness into light? But if you talk like that, people call you crazy. Well, if I could discover just one of these things, what eternity is, for example, I wouldn’t care if they did think I was crazy. WALDMAN: You’re young, my friend. Your success has intoxicated you. Wake up! And look facts in the face! Here we have a fiend whose brain—. HENRY: Whose brain must be given time to develop. It’s a perfectly good brain, doctor. Well, you ought to know. It came from your own laboratory. HENRY (caught off guard, and looking surprised. ): Oh well. After all, it’s only a piece of dead tissue. WALDMAN: Only evil can come of it. Your health will be ruined if you persist in this madness. HENRY: I’m astonishingly sane, doctor. HENRY: Patience, patience. I believe in this monster, as you call it. And if you don’t, well you must leave me alone. WALDMAN: But think of Elizabeth, and your father. HENRY: Elizabeth believes in me. My father? He never believes in anyone. I’ve got to experiment further. He’s only a few days old, remember. So far he’s been kept in complete darkness. Wait till I bring him into the light. I’ve always really enjoyed this scene. There’s something about Clive’s performance here which is somehow more personal and more alive than in his other scenes, especially in that sequence where he speaks about being called crazy if you care to dream, and how he wouldn’t mind being called crazy if he could accomplish just one of these things. I suspect Clive brought something personal with him when he played this scene. It’s his best in the film. As I said, the Monster doesn’t speak in this movie, but this doesn’t take away from Karloff’s brilliant performance. In fact, in the film’s scariest scene, the death of little Maria, the Monster doesn’t have to utter one word. Little Maria is outside playing, when the Monster emerges from the woods and approaches her. MARIA: Who are you? I’m Maria. MARIA: Will you play with me? MARIA: Would you like one of my flowers? (Gives the MONSTER a flower. He sniffs it and smiles, making a happy grunt. They sit by the water’s edge. Maria picks more flowers. MARIA: You have those, and I’ll have these. (Gives the MONSTER more flowers.) I can make a boat. (She throws a flower into the water, and it floats.) See how mine floats? (The MONSTER throws a flower into the water and it floats too. He smiles. He throws the rest of his flowers into the water and makes happy grunting sounds. He looks at his empty hands, smiles, nods his head, and reaches for Maria. He picks her up. MARIA: No! You’re hurting me! No!! This is such a bold scene, so bold in fact I seriously doubt it would be filmed today. I’m amazed they got away with this in 1931. Of course, it was cut from the TV print, supposedly at the request of Karloff, who thought it portrayed the Monster as too dark. I disagree. You clearly see in this scene that the Monster’s intentions are innocent. He just has no understanding of life and death. Again, it’s a brilliant performance by Karloff. He really plays the Monster as a being newly born, with little understanding of life, a baby in a hulk’s body. This scene was restored in the 1980s as well. There you have it. Some fun quotes from FRANKENSTEIN. Thanks for joining me today, and I look forward to seeing you next time on another edition of MEMORABLE MOVIE QUOTES.